After the feasting on Thanksgiving Day comes the leftovers, which we look forward to as much as the feasting day itself. We usually have plenty of turkey and cranberry sauce leftover, as well as some stuffing and gravy. One of my family’s favorite ways to eat leftover turkey is to lay slices on hot toast and ladle hot gravy on top, making an open face turkey sandwich. I can eat it anytime of the day, and in fact really like it for breakfast. 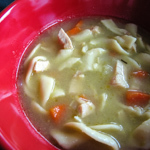 We also make turkey noodle soup and add turkey slices to dinner salads. As a child we ate turkey and chicken pot pie, and it’s still one of my favorite comfort foods. 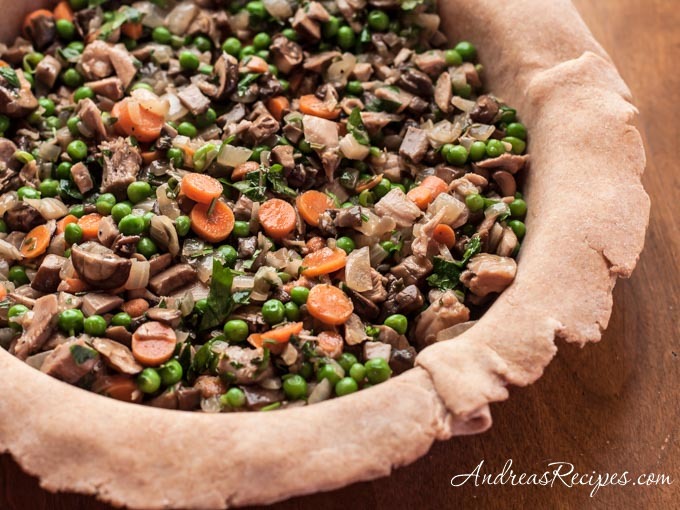 I’ve updated the classic using a whole wheat crust and portabella mushrooms, but of course you can use whatever kind of mushrooms you prefer. The leftover gravy goes nicely with the filling and makes it a little lighter, a touch we definitely enjoy after all the desserts on Thanksgiving Day. In the large skillet, melt the butter with the olive oil over medium-high heat. Add the chopped onion and sauté until golden, 7 to 8 minutes. Add the mushrooms, salt, and pepper, then sauté until browned and tender, about 4 minutes. Add the sliced carrots, cover, and cook until carrots soften slightly, about 2 minutes. Add diced turkey, gravy, thyme, and rosemary. Bring the filling to a boil, then reduce heat to low and simmer to thicken if necessary. You don't want it runny or it will make the bottom crust mushy. Season to taste with salt and pepper. Mix in the peas and chopped parsley. Pour the filling into the prepared pie crust and refrigerate until cool, about 30 minutes. Place the top crust in place and fold the edge of dough over edge of pie dish. Tuck the edges under and crimp with a fork. Cut miniature leaves and arrange them on top. Chill 10 minutes. Lightly brush top of pie with glaze. 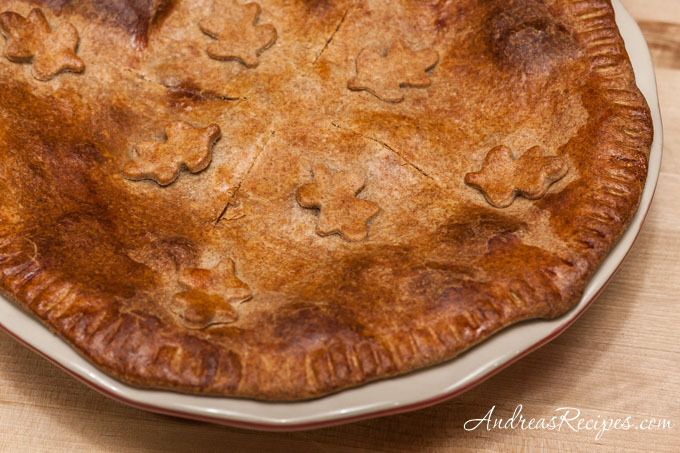 Make four slits in center of pie to allow steam to escape. Bake pie until crust is golden and filling is bubbling, 30 to 35 minutes. Remove from oven and let cool 10 minutes. Serve with leftover cranberry sauce.